Born and trained in the UK, Aidan’s experience in renovating heritage homes fostered his passion for sympathetically amalgamating the old with the new. He applies his knowledge of classical architecture to influence both modern and traditional elements of his designs. 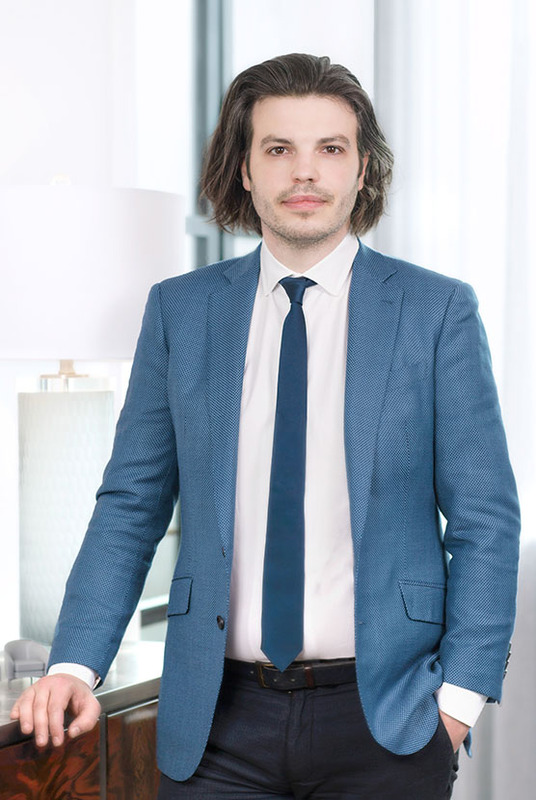 As a Project Manager for high-end residential homes, Aidan creates thoughtful and innovative spaces which take into account the unique lifestyle and needs of each individual client. With over 10 years of European and North American experience, he brings a wealth of expertise in city procedures, construction methods and building science. As a project manager, what is your favorite part of the design process? My favorite part of the design process is visiting a finished project after the client has settled in and seeing how the house we designed on paper has turned into a functional and useable space. I love watching the way clients use and interact with the spaces and how sometimes small but meaningful decisions can have such a big impact in contributing to the overall enjoyment of the environment. What is your favourite kind of space to design and why? I have always enjoyed designing outdoor spaces and believe that they should be an extension of the building rather than an afterthought. To gain an understanding of how an outdoor space will be used, we ask clients the same questions we ask when designing the interiors. With careful integration between landscape and architecture we can ensure that the space is functional yet beautiful – even through the Canadian Winters! I have overseen the design and implementation of a variety of Toronto luxury, custom homes, including several Forest Hill and Bridal Path residences.